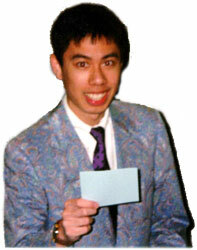 Before Slightly Above Average, there was The Common Room (TCR), a variety and sketch comedy program created by Murad Hussain '99 and Mandel Ilagan '99. It premiered on October 22, 1996 and ran for three seasons thereafter. During its tenure, any visitor to Loker Commons Coffeehouse on Tuesdays evenings (8PM) could watch this swank’n’funky™ sketch comedy show that one producer's ex-girlfriend called "guerrilla comedy for the jaded Harvard intellectual." Like SAA, TCR was an entirely student-written, -acted, and -produced show. It dubbed itself the funniest thing to hit Harvard since the blizzard of ’78. Herb Sargent, former writer for "Saturday Night Live," called it "a funny, silly, wise, free and easy piece of work." Comedy legend Alan King said, "This should be called Hard-on Copy." He may have been drinking at the time. Well, history will be the ultimate judge. Over its history, Survey Says! has seen numbers of teams vie for victory and the quest to get the #1 answer. These contestants have included representatives from Leverett, Pforzheimer, FOP, Dorm Crew, Demon magazine, and The Harvard Crimson. The show has also given away hundreds of dollars in prizes ranging from pizza parties and breakfasts-in-bed to bottles of glue and rolls of Mentos. Created by Justin Lee Massengale, Yard Tails was HRTV's animated series about life as freshmen. 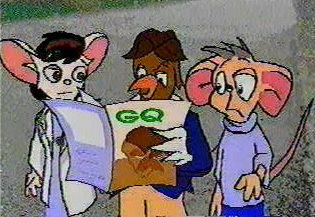 The last executive producer was Chris Allmon. Not strictly a television show, the Harvard Objectivists were nonetheless a tour de force in campus comedy. 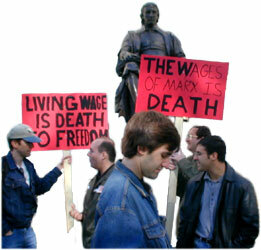 Based on ideas originally developed by Ayn Rand, their most famous escapade - the "Living Wage" counter-protest - drew upwards of a dozen demonstrators, forcing the administration of Harvard University to admit the existance of the Harvard Objectivist Club. Not HRTV-affliated, the Harvard Objectivists fizzled in 2002 when their two remaining members separated into several competing Ayn Rand factions. Based on a brand new interpretation of the Ayn Rand faith, Slightly Above Average was created by Randy Xu in September of 2003. Randy was influenced by the comedic skills of the Harvard Objectivists, although he is not one himself. 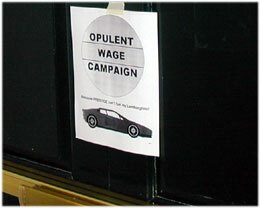 To the contrary, Randy was the head of a militant but little known branch of PSLM, the Opulent Wage Campaign. 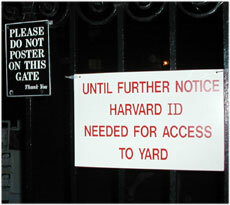 The OWC was so successful that Harvard administrators declared a state of emergency in the Yard, closing off access and enforcing previously-lax postering rules. Inspiration for Slightly Above Average also came from Upright Citizens Brigade, The State, and the first two seasons of Mad TV.